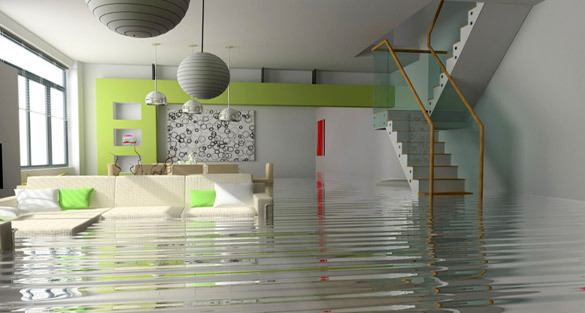 Asheville Painting Company can help save you from water damage! I’m sure with all of this rain many of you are experiencing things leaking that never did before. You are not alone! While other areas of the country are in a drought and fighting fires we are being inundated with days and inches of rain. Yes, it makes for a very green summer but it also has caused lots of damage in our area; roads washing away, mudslides and evacuations are just a few. With this being said we would like to give you a few tips on what to look for, how you can avoid water damage to your home and how Asheville Painting Company can help. – Paint that is bubbling up, discoloring, or peeling. – Water inside windows or under doors. – Clogged gutters and downspouts. – Watermarks on the ceilings. – Curling or missing shingles on the roof. Make sure that your home is sealed and painted well. This will eliminate water getting into the exterior walls and damaging the foundation of the home. Properly caulking around windows and doors, especially the corners. Keep your gutters clean and free from debris. This will allow water to flow through the downspouts and into properly planned drainage areas to avoid water damage. Have your roof inspected. This will prevent unexpected leaks. Asheville Painting Company is a full service painting company with a focus on proper preparation techniques. 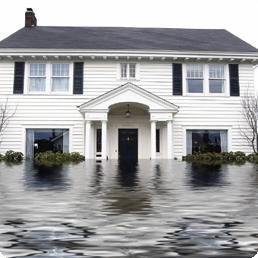 We understand that the preparation work before a painting job is the most important factor to protect your home and family from water damage and for the paint job to last. When we arrive on a jobsite we do the following: check your windows and doors to ensure they are caulked properly, look at the siding and caulk any cracks to prevent water from getting into the walls, and look for areas that are already peeling, bubbling or discolored and determine if this is wear and tear, age or a water issue. If it is a water issue we try and determine where it is coming from. Once we determine this we can discuss a course of action to correct the problem.